Kenney Auditorium, 1740 Massachusetts Ave NW, 20036 Washington, D.C. 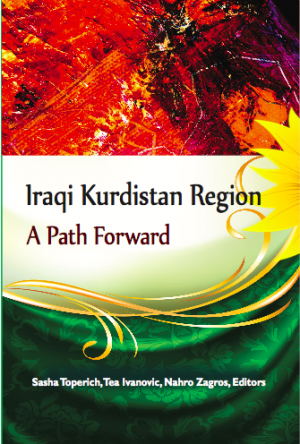 The Kurdistan Region of Iraq (KRI) suffered greatly during Saddam Hussein’s rule. Following a United States-led invasion, the KRI experienced an economic boom. However, the emergence of ISIS and their attack on Iraqi Kurdistan drew away investors and foreign companies, and the 1.8 million internally displaced people and refugees from Syria added more pressure on the Kurdistan Regional Government (KRG). Moreover, the global fall in oil prices reduced inflows for the KRI’s economy. At the same time, Baghdad ceased sharing the KRG’s constitutionally guaranteed share of the national budget, thus elevating political tensions between the central government and the KRG. Nevertheless, the Peshmerga forces continued their fight against ISIS and gained international recognition by repelling the terrorist group and regaining KRI’s territory. The Kurdistan Region of Iraq will hold a referendum on independence on September 25, 2017, a vote that will certainly change the political discourse of the entire Middle East and likely also farther beyond. In this volume, respected authors and experts elaborate on all these important issues and shed light on the vibrant dynamics of this emerging democracy. This publication is available to download here, and will be available in print at the book release on September 12th.